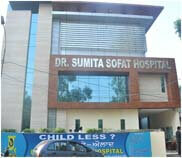 We have been providing IVF treatment for more than two decades in Muktsar. Our best IVF doctor and technicians strive for providing the best treatment to childless couple by understanding their agony. We initialize the procedure by conducting all the diagnostic tests and proper counseling of couple so that comprehensive detail about the fertility potential can be obtained. Our senior doctor Sumita Sofat give priority to finding the actual cause for the problem so that only the correct, suitable, safe, and tailor made treatment can be provided for successful results after treatment. For successful IVF we make sure the quality fertilization, development and selection of embryo so that healthy and safe pregnancy can be ensured after completion of cycle.